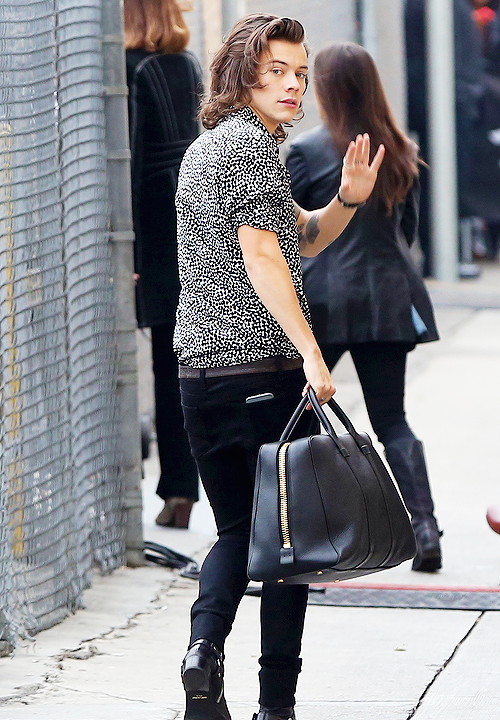 Harry arriving to Jimmy Kimmel Live on November 20, 2014.. . HD Wallpaper and background images in the One Direction club tagged: photo chrissystyles1. This One Direction photo might contain hip boot, thigh boot, street, city scene, and urban setting. 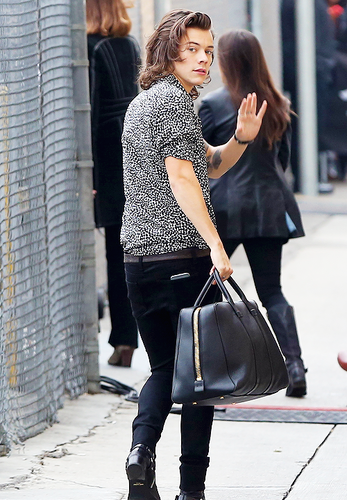 My Babysitter: Harry Styles - Fan Fiction - Part 11: Scream. who is the most popular one direction member?